Attack Command Trailer video - Attack! Save cyberspace from the robot invasion! Attack! is a retro arcade action game for PC and VR. Destroy hordes of attacking mechs, insectoids and other enemy machines. 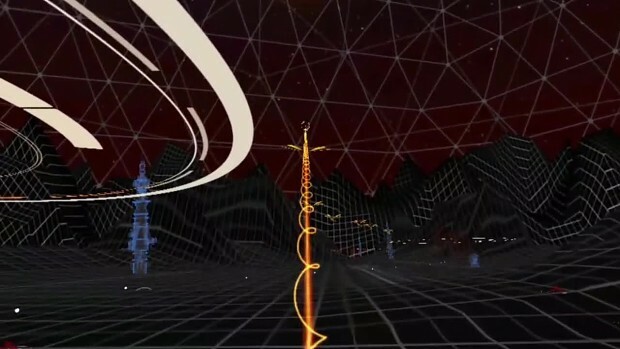 This game for desktop and VR has you in the role of the defender of Cyberspace. Use an arsenal of futuristic weapons to destroy alien machines on a mission to save the Internet. Explosions, Robots, Mechs, Lasers, and Cyberspace come together with a heart-pounding soundtrack from the talented producer and metal musician "Cricket" in this fully immersive VR arcade game. Drawing inspiration from retro arcade classics, this game is about high scores and survival.